By Lauren Kate Rawlins, ITWeb digital and innovation editor. 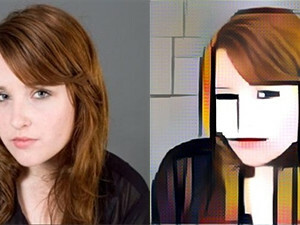 A before and after headshot with the Mondrian filter applied. While millions of smartphone users have had their heads buried in Pokémon Go this week, a million other iPhone users have been creating works of art using the new photo altering app, Prisma. 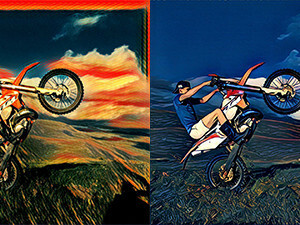 Prisma transforms smartphone photos into artworks using a combination of neural networks and artificial intelligence. Users choose from over 30 filters that each represent a style of a famous artist, like Vincent Van Gogh, Roy Lichtenstein and Pablo Picasso, or well-known paintings, like The Scream. Users have the option to choose how intensely the filter will be applied. The company announced yesterday it has gained over a million daily active users since its launch last month. It did not expect to have such an uptake, and as a result, users sometimes experience an error message, which reads: "Prisma is over capacity. There are too many people using Prisma right now. Please wait a moment and try again." One user, Joyridetohell, left a review on the app page that said: "Having hired several illustrators over the years, I feel guilty for how astonishingly wonderful and easy it is to make beautiful art with a click of a button. What would take an illustrator tons of talent and years of training can be yours with no effort at all." There have been some complaints on social media that the finished artworks are low resolution, with some requesting the company to update the app to allow for high resolution images. Most of the complainers have said they will gladly pay for this update. This photo has had The Scream and Marcus D-Lone Wolf (right) filter applied. Prisma has not officially said if this will ever be an option but noted users can expect to see more filters added to the app this week. The company said on its business Facebook page that ?Prisma became the most downloaded app in 10 countries within nine days. Prisma has said an Android version is coming soon.